I have not paid my American Express bill in full and now have a $60,000 AMEX debt that is in collections. Help! I am the owner of a small trucking company in Texas because of all the rain i have not paid my American Express bill in full. I have been sending $300 a month on a $60,000 bill since June I have been contacted by nation wide credit and told where to get the loan and how much I can pay each month I was never sent any notification that i would be contacted by them and have been called at work once and by cell during working hours. Why am I in collections and what will happen to me? Contact the original creditor first, even when you receive notice from a collection agency. Attempt to negotiate a temporary low monthly payment or a lump sum settlement. Consider debt settlement or credit counseling -- both can work with American Express. It is unusual for a person to begin receiving collection calls from a third party collection agency, such as Nationwide Credit, without first receiving written notification from the collection agency. The reason that you are in collection, however, is that you are failing to make the full minimum payments on your American Express Bill and now you have overdue credit card debt. I will explain more in just a moment. If you are considering some professional help to resolve your debt problems, start with a free consultation with one of Bills.com's pre-screened debt relief partners. Nationwide Credit is a primary collection agency used by American Express. I would suggest you not make any payments to Nationwide Credit before contacting American Express and confirming that Nationwide is handling your account. You should also contact Nationwide to ask them to send you a written statement of your account, including the balance and the account number. If you contact American Express directly, it may be willing to work with you to bring your account current and resume making payments. American Express may be more willing to work with you than the collection agency in helping you establish a payment arrangement you can afford. Hopefully, your income has improved enough to let you pay more that $300 per month, as that is quite a small payment on a $60,000 account (in fact, it is negligible... your minimum payment on $60,000 is probably over $2,000 per month... and going up with late fees and jacked up interest rates). Even if you cannot pay more than $300 right now, Amex may be willing to accept the lower payment amount for a few months if you can commit to larger payments once your income has improved. You do not mention in your question whether or not you communicated with American Express about your financial difficulties before you started making lower monthly payments. If you did not speak with American Express before they referred your account to collections, then you should definitely do so. Even if you did talk to them before they sent your account to Nationwide, it is worth calling American Express again to discuss what you can do to pull your account out of collections and bring the account current. If American Express will not offer you an affordable payment arrangement directly, you can ask Nationwide what repayment terms they can offer you, as they may be able to work out a payment arrangement with you as well. If you can raise a lump sum, you may also be able to settle the account with either Amex or the collection agency. For example, if you can raise $20,000, American Express may be willing to accept that amount to resolve the account and forgive the remaining $40,000. While the settlement amount AMEX will accept will vary depending on the status of the account and your financial circumstances, it is likely that Nationwide or AMEX will accept a settlement on the account if you can raise enough money to offer a reasonable amount. To assist you in negotiating a settlement, you may want to retain the services of a professional debt negotiation firm, which specialize in negotiating settlements for their clients with the creditors. A settlement agency may be able to establish a payment plan to help you build a lump sum to offer to AMEX as a settlement. There is one major drawback to debt settlement programs. They will significantly damage your credit while in the program and for a period afterward. Given that you are already delinquent, your account has been assigned to a third-party collection agency, and the size of your debt, your credit is likely already severely damaged. As you are currently unable to afford to pay AMEX, the impact of debt settlement to your credit may be worth the benefit of ridding yourself of the credit card debt. 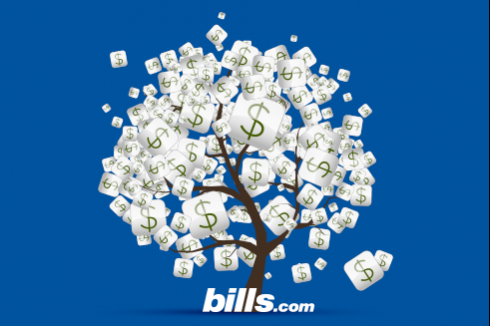 To learn more about various debt resolution options, I encourage you to visit the Bills.com Debt Help page. Another issue you must consider when deciding how you should resolve this debt is whether or not you will need this credit to continue operating your business. If you are able work out a repayment arrangement with AMEX to bring the account current and pay if off, AMEX will likely allow you to maintain your account for future use. However, if you decide to try to settle the account, AMEX will almost certainly close the account. In addition, the damage to your credit rating caused by not paying the account off in full could cause you significant problems in obtaining future credit from AMEX and from other creditors. If you need credit to operate your business, you probably should work with AMEX to bring the account current, in order to minimize the negative impact of this delinquency. As mentioned previously, I encourage you to contact AMEX to discuss the options available to you to repay this credit card, hopefully allowing you to maintain the credit you need to successfully operate your business. i have been harassed by American Express and the debt collectors working for them. A company called First Source Advantage, acting on AMEX behalf called me last year at Work after I told me not to call me at work. That was the third time they called me at work. I also sent them a letter in 2013 telling them not to call me anywhere. Last week, they called my Brother looking for me. I took the number ((877) 443-0144) and spoke to AMEX and told them not to call my brother looking for me. Yesterday, they called my brother again on his cell looking for me. I have in the last 4 years sent letters directly to American Express, First Source Advantage, and Nationwide Credit each informing them of my rights and if they needed to communicate with me, then they needed to do so by Mail. I am thinking of taking action. Any advice would be appreciated. Consult with a lawyer who has experience in Fair Debt Collection Practices Act lawsuits. Hi, i have a 45K debt with amex on my company that is no longer in business I got a let saying the will send it to collection if i dont respond within 14 days. is it better to negotiate with amex of the collection agency? I consulted with the top negotiator at the largest debt settlement firm in the US. He advised that letting your American Express account go to a collection agency is ALWAYS betterâ€¦unless AmEx sends it to Zwicker and Associates, a law firm that does collections. The best settlement that Zwicker will give, as a rule, is 70%. They typically sue debtors. Unfortunately, there is no accurate way to predict exactly where you account will end up. So, erring on the side of caution, I recommend that you call AmEx, with your hardship information in hand, and plead your case for a low settlement paid over time. My company has an AMEX Business Gold Rewards Card with a $50k balance due (I've never been late with payments and it was due last Friday). My company is closing it's doors and I'm trying to avoid personal and corporate bankruptcy. Will AMEX settle for a reduced payoff of say 65% ? If they do, will this still affect my personal credit? My new employer will be issuing me an AMEX for travel expenses. Would that be affected as well? Impossible to answer your question without knowing if you have personal liability for the business account. I realize that's the point of your question, but you have to go back to the contract for the business account to see if you (or someone else in your business authorized to do so) agreed to have personal liability for the account. This question is something only the signer, American Express, and someone who read the original cardholder agreement can answer. I went through an incredible nightmare with Nationwide! The first crime they committed against me was by using a fraudulent "check" with info they had on record from a previous payment I had made, WITHOUT my permission! I started getting all these bounced checks and looked on my statement, only to find that a payment of $1140 had been taken out of my account. When I viewed the "check"online, there was my "signature" that I NEVER made, nor was there any record of the check number. They simply made one up! Well, you can imagine how shocked I was. Also, considering my former bank, B of A, charged $35 per returned check, not only was I out the $1140, but $350 in returned checks! I first called and reported it to B of A, thinking that since it was fraud (I never gave permission for this payment) they would credit my account and launch an investigation. Wrong! The gal I spoke with, not only didn't credit my account, she didn't even recommend that I file a complaint/dispute! So then I contacted Nationwide and supposedly talked to a "supervisor." He claimed that I indeed gave permission (although the agent in charge of my case was suspiciously gone every time I called) and since I knew that these calls, giving permission, etc., are required by law to be recorded, I asked to HEAR the "permission" I granted. Well, that really got him in a tizzy and sent me to yet another "supervisor," who also claimed I gave permission, although they never allowed me to listen to ANY conversations that I supposedly had with their company. To try and make this nightmare shorter then the months I dealt with Nationwide, I will say that after threats, numerous phone calls, (never the same agent) and dealing with an enormous amount of lies on their part, I finally got my money returned, as well as the $350 from the returned checks, although nothing could be done about the embarrassment and the "bad" record of returned checks that are now on my account. Oh, and this "company" that American Express has the audacity to handle their delinquent accounts, has quite a criminal record as well! I Googled them, only to find out that in 1998, Nationwide Credit, Inc., paid one of the largest civil penalties, $1,000,000 (yes, that's right, a MILLION) for charges of repeatedly violating the Fair Debt Collection Practices Act. Included in these violations were harassing consumers; made false and misleading representations; failed to send required validation notices; failed to verify debts, when requested by consumers; and made impermissible third party contacts regarding consumers debts. Many of these charges were the same charges the FTC (Federal Trade Commission) made against Nationwide in 1992. The consent filed in 1992 also prohibited violations of the FDCPA and required Nationwide to pay a $100,000 civil penalty. Included in Nationwide Credit Inc.'s violations, after 1992's fine are; Used obscene or profane language to consumers; caused the consumers phone to ring, or engaged a person in phone conversations, repeatedly or continuously, with the intent to annoy, abuse, or harass a consumer; falsely implied that failure to pay the debt could result in arrest, imprisonment, or garnishment of wages; threatening to take action, such as a lawsuit against consumer; continued to try to collect debts after consumers disputed them in writing, and before Nationwide verified the debts. I would also like to add, that during this debacle, I repeatedly tried to talk to someone in their Atlanta, Georgia office. The one they advertise/use as their "home" office. Well, that was another one of their deceptions. Every number I called, in the USA, was rerouted to Mumbai, India! And as far as I can tell, there is no US office, or at least none that answer the phone numbers given for contact. When I asked their representatives in Mumbai, how to get in touch with someone from Nationwide, here in the US, I was of course given a number that sent me back to Mumbai. In addition to everything else, Nationwide took over a month to send me a reimbursement check (initially they claimed UPS and even gave me several tracking numbers, which of course were ALL invalid). Then a month later, they had the complete temerity to call and offer me a "settlement amount" to clear my debt! I won't use the language I used, on the agent who made that ludicrous phone call, and thankfully, I've not heard from them again. I will NEVER own another AmEx card, and I recommend everyone I know, to cut theirs up! Any American company, who would hire Nationwide Inc., especially after their 1992 $100,000 fine and the 1998 $1 Million dollar fine, for their outrageous behavior, toward AmEx clients, or anyone for that matter, is offensive in the worst possible way. Just imagine if you will, an innocent, elderly person, receiving a call from Nationwide Credit Inc., using not only profanity, but threatening them with prison! Can't you just see them writing a check, out of shear terror? It makes me physically ill to think what this company does to consumers, and that they are even in business, with their record, STILL! Even AFTER the 1998 fine! Here is what I recommend, to anyone who is abused, lied to, not given requested information regarding your "debt" or anything else, that is suspicious or denied per your request, from ANY credit collection company. Immediately notify the FTC (Federal Trade Commission) @ (877) 382-4357, TTY: 1-866-653-4261. Also, PLEASE document EVERY phone call with date, time, agent calling, and what is said. I wouldn't bother telling Nationwide (or any other credit collection company) about your plan. I did and it didn't have any effect. Probably because the FTC doesn't have any authority outside the USA. Although, most debt collection companies are American owned, so you will get results and of course the more complaints, the faster the action against them and the bigger the penalties too! Oh, and according to law, if you tell them to cease and desist with any further calls, they are required by law to STOP any further phone calls! Won't work with Nationwide, probably, but will with the majority of debt collectors. Keep in mind, the law is on YOUR SIDE! Go to the FTC website (www.ftc.gov) and you will find a list of your rights, with almost any industry that is doing business in the US. Good Luck to ALL of the abused consumers out there and don't give up hope! And if you have ANY doubts, as to the validity of their claims, whatever you do, PLEASE DO NOT GIVE THEM A CENT! That would work against you and could imply that you indeed DO owe them money! Not to mention, they would then have your checking account and routing numbers, to use against you, like they did to me. Keep in mind as well, if you DO OWE them money (who doesn't in this economy)? 99% of collection agencies will accept A LOT less then you actually owe, without any negative effects to your credit score, as long as you get the arrangement IN WRITING, SIGNED ORIGINAL, etc., for any future questions! Before the economy went to hell, I owed AmEx roughly $4K and their last offer was around $600! Generally speaking, the collection companies have bought your debt, much less then you originally owed, so they want to get as much of their money back as they can. Try and get them to make the original settlement offer (then you have an idea of where they are coming from), then just INTIMATE that you MIGHT be able to go as high as 25% of their first offer. If you don't have to peel the debt collector off the ceiling, then you have a good idea of what you can pay. Just make sure once an agreement is made, get it in writing, with proof of the debt being removed from your credit report immediately upon receipt of settlement money, without any negative comments regarding settlement. Again, GOOD LUCK! I just received a email from American Express stating that my account has been closed. The reason was that i was not able to pay the balance due of $6000 in full payment in four months. I was paying them every month and the remaining balance was 1600$ till date which i am able to make the payment at end of this month. I found that they have sent my account to collection agency. is this going to effect my credit score? Should i make the remaining payment directly to AMX or collection agency.Thanks. It is likely the case that the collection agency is contracted by AmEx to collect on the account, as opposed to the collection agency owning the account. You can try calling AmEx to make the payment arrangements and if they won't accept payment, then call the collection agency.